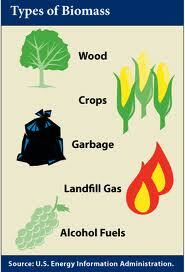 Benefits from biomass heating is the lower impact on the environment. Drawbacks include greater air pollutants and carbon in the atmosphere if used on a large scale through combustion of biomass. The use of biomass takes agricultural land out of food production, reduces the carbon sequestration capacity of forests, and extracts nutrients from the soil. Fully automated: Chipped or ground up waste wood is brought to the site by delivery trucks and dropped into a holding tank. A system of conveyors then transports the wood from the holding tank to the boiler at a certain managed rate. This rate is managed by computer controls and a laser that measures the load of fuel the conveyor is bringing in. The system automatically goes on and off to maintain the pressure and temperature within the boiler. Semi-automated or “surge bin”: Same as fully automated systems but requires more manpower to keep operational, and therefore cheaper. Pellet-fired: Pellets are a processed form of wood, which make them more expensive. Although they are more expensive, they are much more condensed and uniform, and therefore are more efficient. In these systems, the pellets are stored in a grain-type storage silo, and gravity is used to move them to the boiler. The storage requirements are much smaller for pellet-fired systems because of their condensed nature, which also helps cut down costs. Agricultural pellet systems: Sub category of pellet systems are boilers or burners capable of burning pellet with higher ash rate (paper pellets, hay pellets, straw pellets). In terms of efficiencies advanced pellet boilers can exceed other forms of biomass because of the more stable fuel characteristics. Advanced pellet boilers can even work in condensing mode and cool down combustion gases to 30-40°C, instead of 120°C before sent into the flue. Combined heat and power: Generate power, and heat is created as a byproduct of the power generation system. They have a very high cost because of the high pressure operation. Geothermal heating and cooling systems that tap into the constant temperature of the shallow ground to create the most energy-efficient climate control systems for air conditioning, hot water services, hydronic floor heating, radiator wall panels, swimming pools & spas. 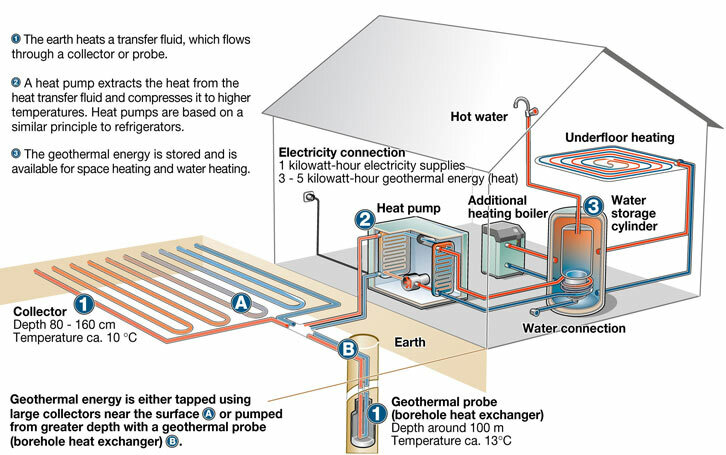 Geothermal heat pumps, also known as ground source heat pumps (GSHPs), are used to transfer natural heat from shallow earth to the inside of a building delivering energy-efficient space and/or water heating. The same principle is used in reverse to cool the air inside a building, by transferring the heat from the building into the shallow earth below. 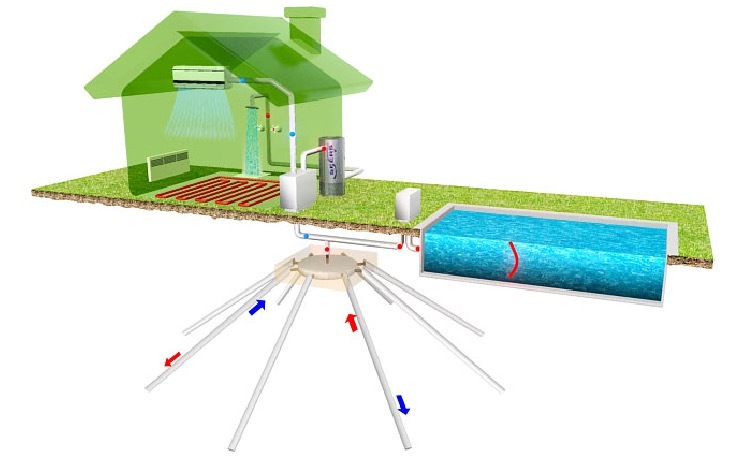 A typical Direct Geothermal system comprises a heat pump, ground loop and a heat distribution system such as a forced air conditioner, radiators or under floor heating. The ground loop is a series of closed loop pipes buried in a bore-hole or a horizontal trench through which water is carried. 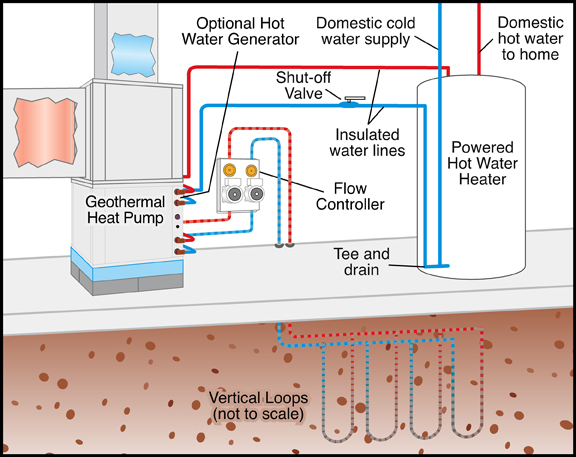 In heating mode, water is pumped through the ground loop to extract heat from the ground. The heat pump then transfers heat into the building through a traditional air conditioning unit or water heating unit delivering energy-saving space heating and water heating. In cooling mode, the heat pump acts to remove the heat from the building and to transfer it to the earth using this same principle in reverse. This entry was posted in Bioenergy, Direct Geothermal, Renewable Technology, Solar and tagged biomass, biomass heating system, direct geothermal, geothermal heating and cooling, hot water systems, renewable energy, saving water, solar, sustainable building, water efficiency. Bookmark the permalink.